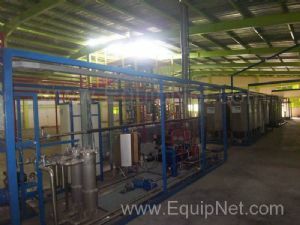 EquipNet is the world's leading provider of used industrial equipment, including full industrial plants and much more. Our exclusive contracts with our clients yield a wide range of opportunities with complete industrial plants, such as biodiesel plants, high purity nitrogen plants, bioethanol distillation plants, and much more. These plants are sourced from a number of global leaders. If you have interest in buying or selling an industrial plant, contact one of our representatives and we can provide the expertise you are looking for. We can also source any needed tools or change parts that you need through our huge network of corporate clients from around the globe.